Posted: Wednesday 22nd August 2012 in eCommerce Technology, Thought Leadership. 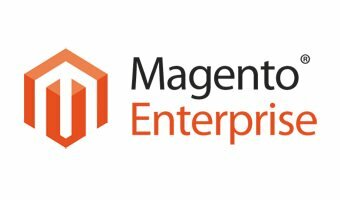 Who is the right Magento partner for your business? Last week I had a call from a Marketing Director at a company that manufactures and sells designer sunglasses – lovely, niche brand, clearly differentiated products, ambitious and with a clear plan for growth. All things being equal, they are an interesting eCommerce client for Summit. But all things are not equal when it comes to Magento. And things are particularly unequal when it comes to pricing. Magento has a heritage in open-source software and its growth has been driven by the Magento community. Partners now range from firms that simply apply a template to Magento out-of-the-box, to large, professional operators with developed systems and processes offering Magento Enterprise solutions. So, when a retailer starts to research the potential costs of a Magento platform, they can be faced with a huge range of prices for Magento platforms which all apparently deliver the same thing. After a brief discussion around the company’s functional and commercial requirements, it became clear that the sunglasses people were mightily confused by the price they had been quoted. Admittedly there was only a thin brief – that was clearly open to interpretation – but how could Magento partners have provided ‘ball park’ costs that ranged from £8k to £80k? Patently these firms are offering different services – even if some claim to be offering the same as another provider. But it can be hard for smaller or niche retailers, particularly those who don’t have dedicated eCommerce capability in-house, to sort the wheat from the chaff. And frankly, who is to say that spending £80k will deliver any more benefit to the business than spending £50k with a different partner? Understand what the new platform means to your business. Is it business critical? What level of sales will it be driving (or influencing in-store)? Write a brief and share your business insights. Be aware that eCommerce has to synch with the rest of your technologies, systems and processes. Retail technology integration issues can cause timelines to stretch and budgets to explode. Don’t go shopping with a list of Magento apps picked from the Magento Connect site. Work out what your site needs to do for your business and let your e-commerce partner advise you on the most appropriate options. Configuration is fast and cheap but may not give you exactly what you need. Customisation is slower and more costly but gives you exactly what you want. Both have a place in your eCommerce platform development strategy. Think about selling from the start. It sounds obvious but know how you plan to encourage customers to visit your new online store and build this into your planning. You might also ask potential partners about their online marketing credentials – and, take it from me, “Magento does SEO out-of-the-box” is not an appropriate response. Find out more about Summit’s experience with Magento integration.